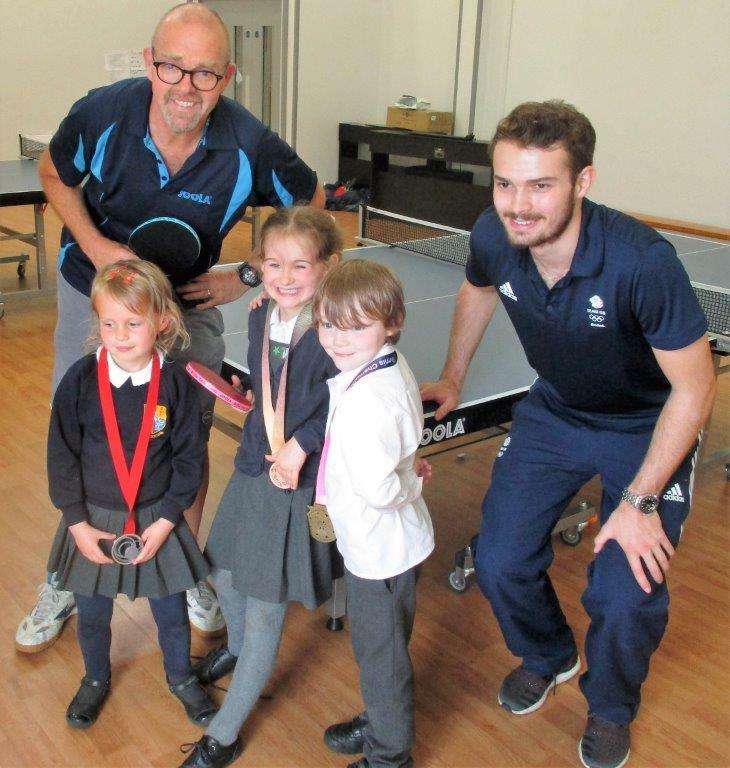 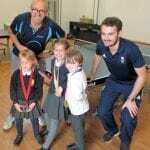 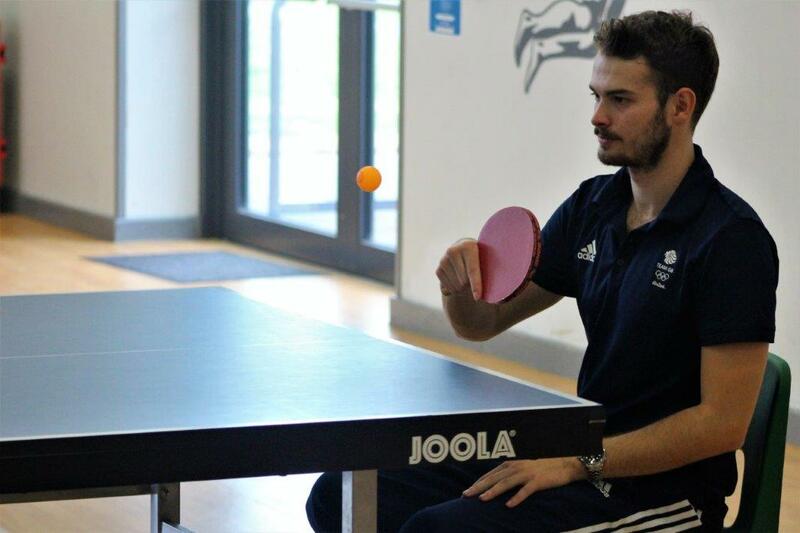 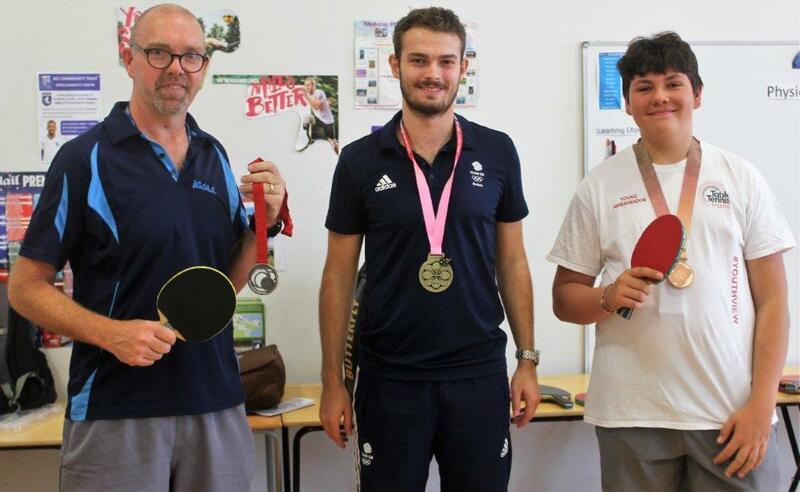 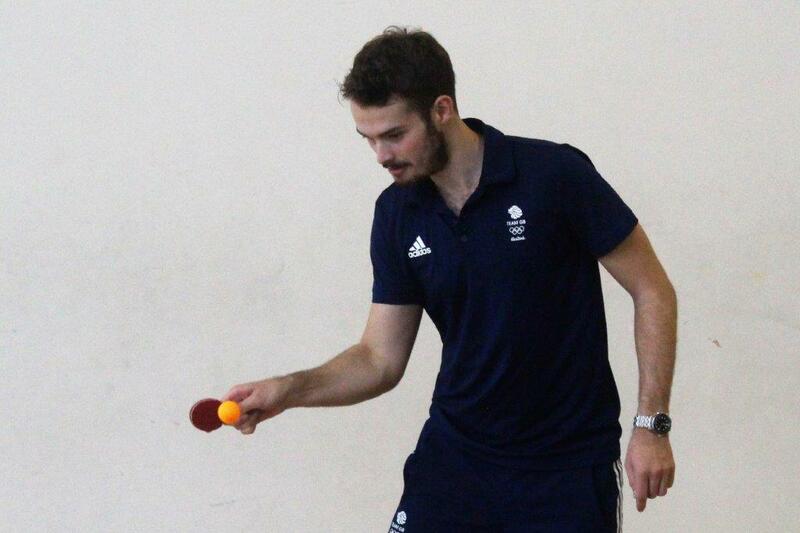 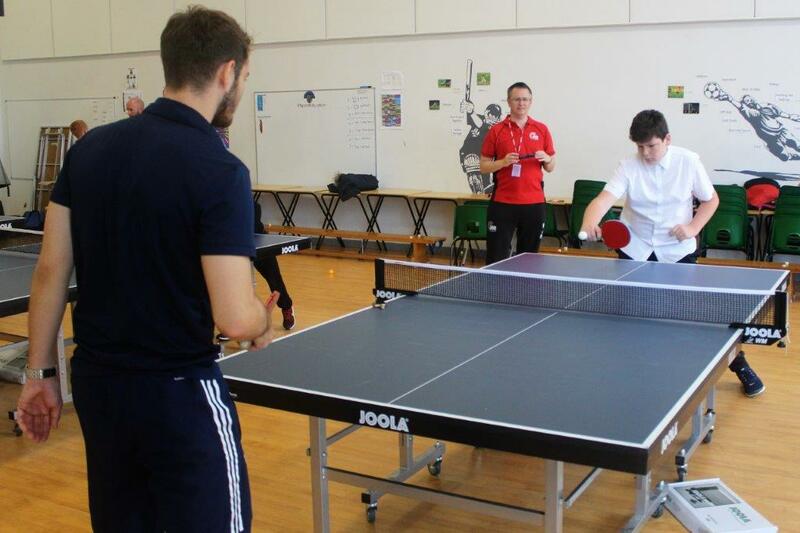 Pupils at Laleham Gap school had an amazing day today as they were treated to a visit from Commonwealth table tennis medallist and British Olympic hero Sam Walker. 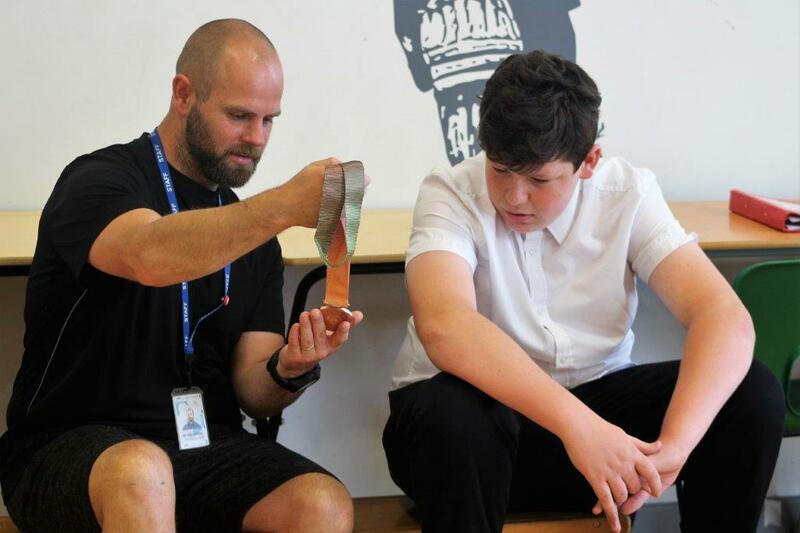 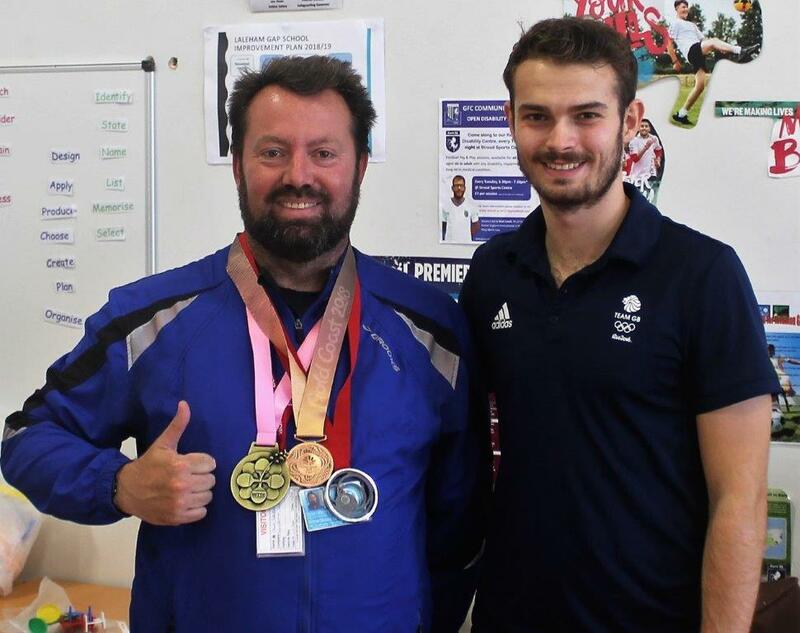 The star, who had only recently flown in from Germany where he plays professionally, took PE lessons in Secondary, answered questions, showed round his medals and played staff, including some round the back trick shots! 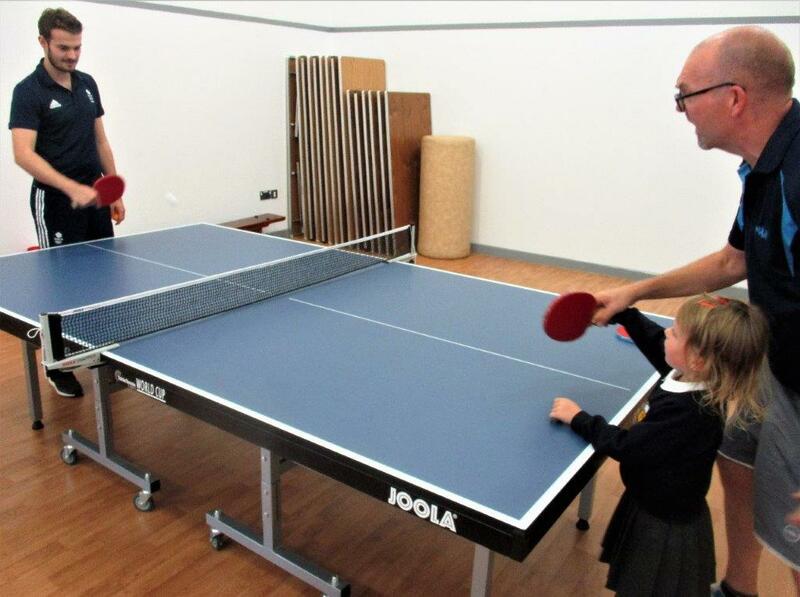 Playing Mr Ursell, Laleham Gap’s very own teacher and qualified Table tennis coach he was able to amaze pupils with his power and later play the school robot even when set to full speed. 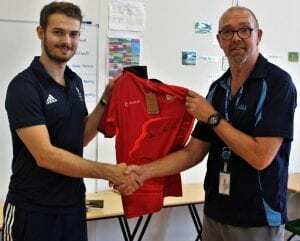 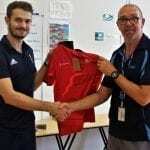 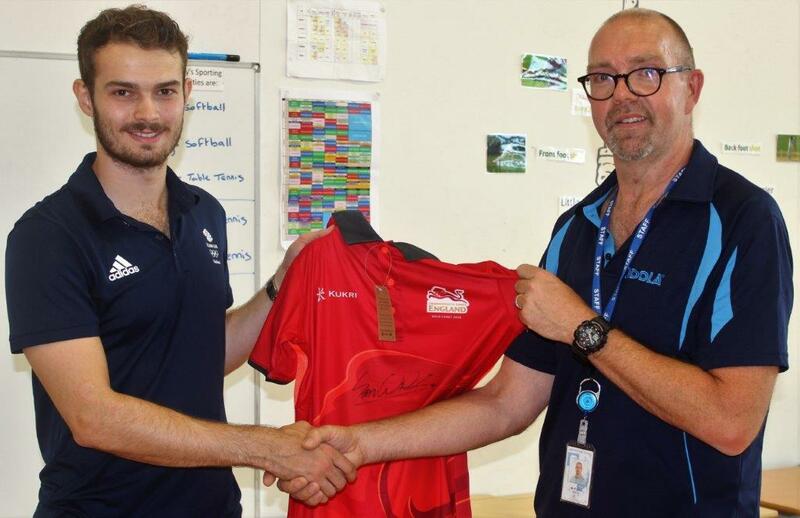 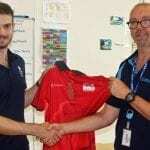 Table Tennis England gave the school a signed shirt from Sam to display in a frame, which Mr Ursell gratefully accepted. 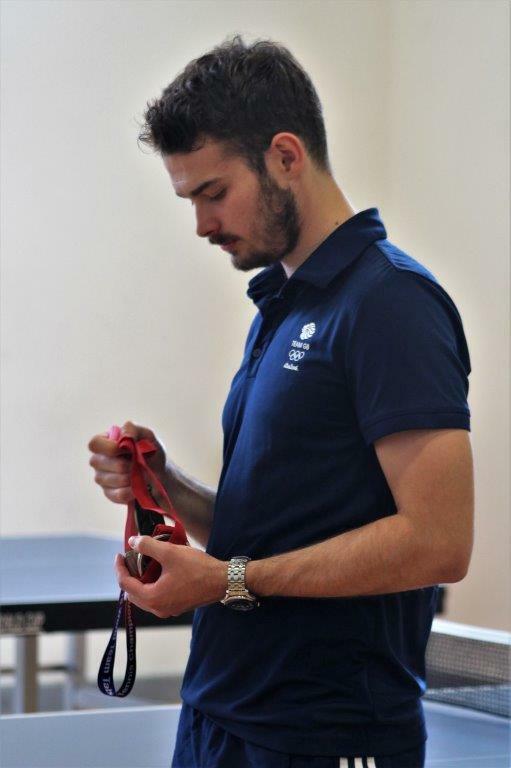 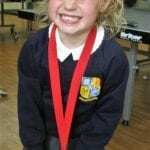 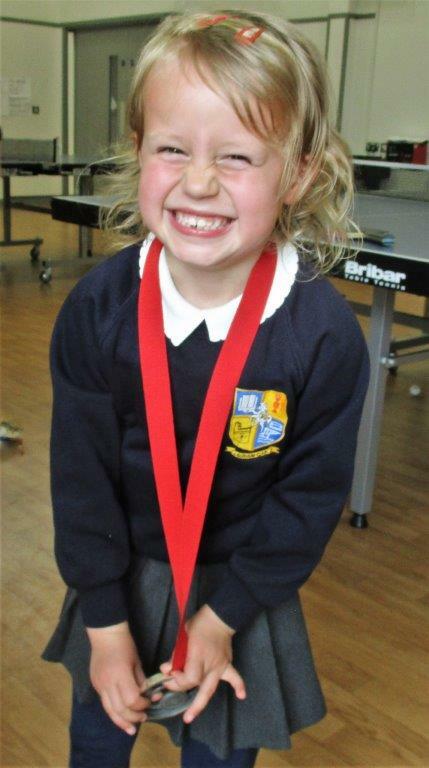 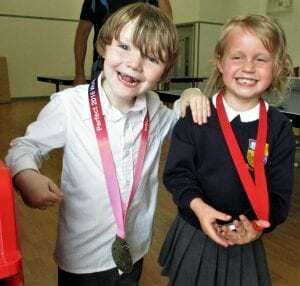 Sam wowed pupils by letting them each look at and hold his medals close up. 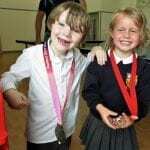 He told them whilst he liked the look of his recent Commonwealth medal the most he most prized the World Cup medal. 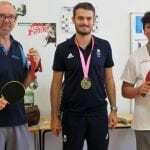 Not suprising as it was the first time in 32 years an English team had gained a medal at World level. 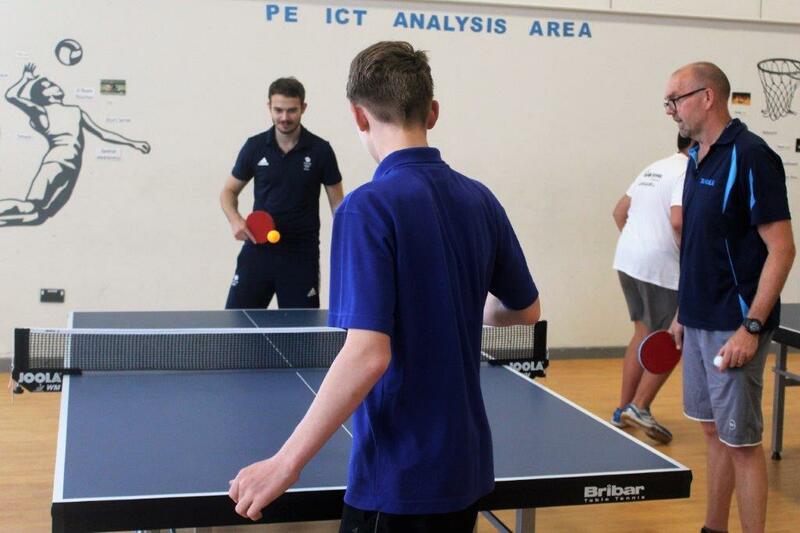 Sam also amazed the pupils in an assembly answer when he explained he trained 8 hours a day and did not have any days off!! 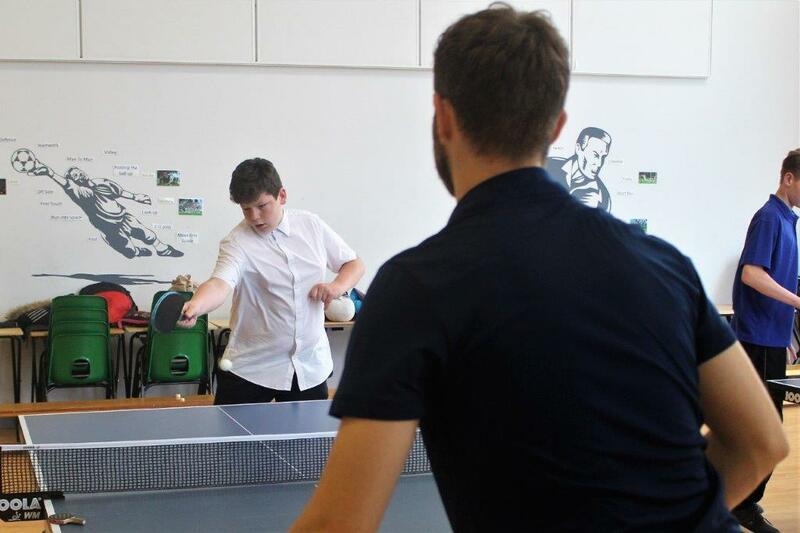 He revealed he has been playing the sport since the age of 2, when his dad got him to stand on a chair to reach the table! 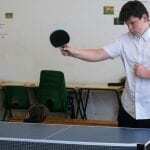 Sam was busy all day, but with an emphasis on fun. 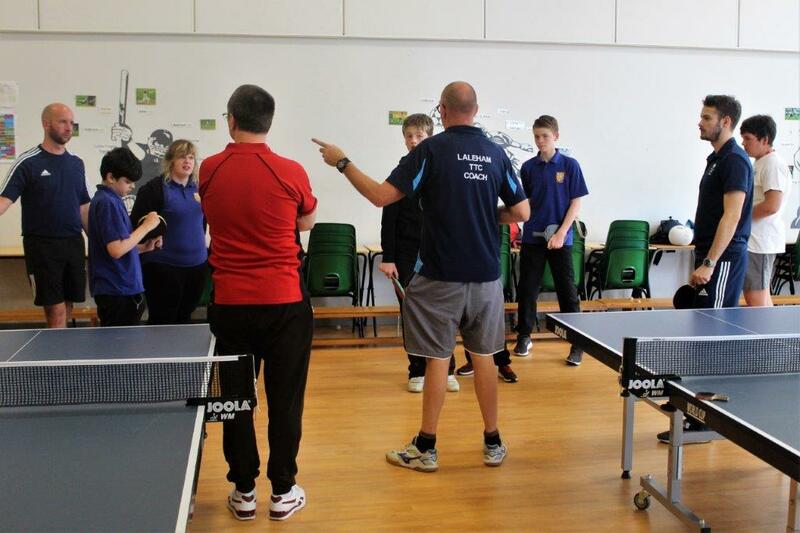 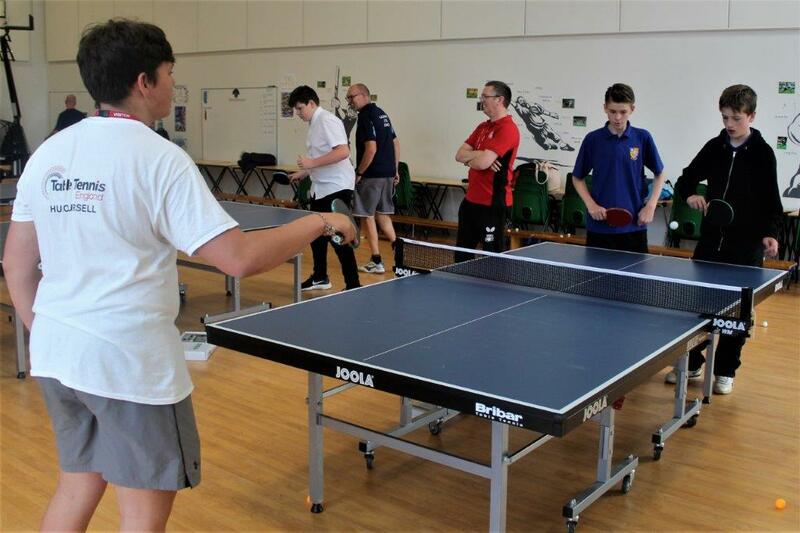 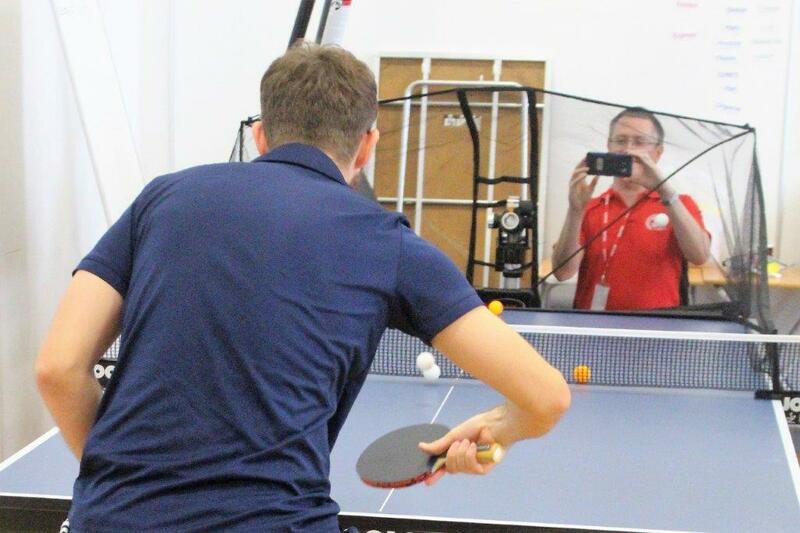 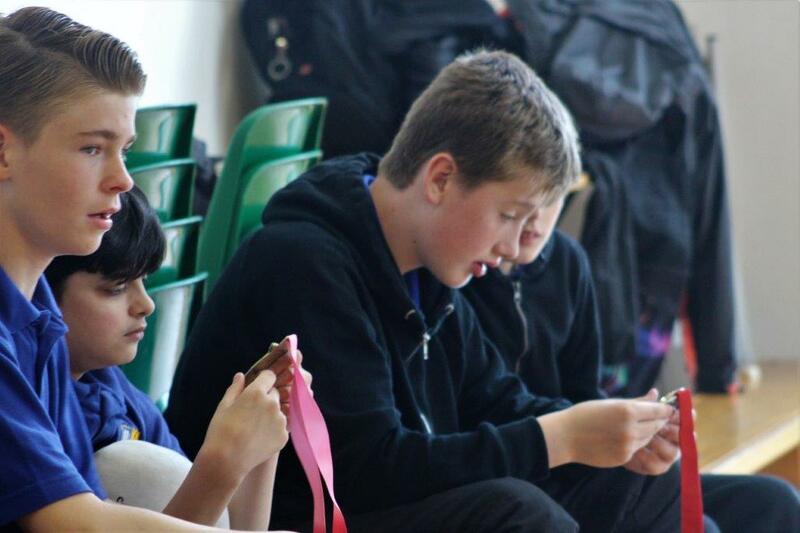 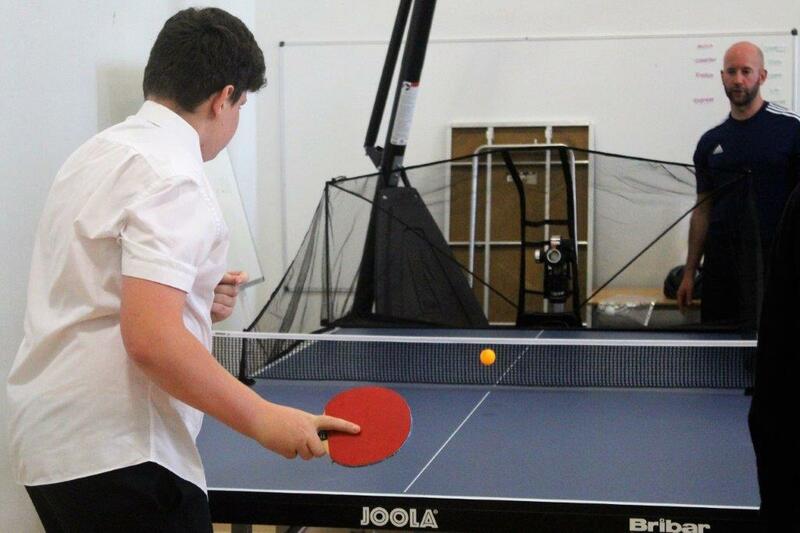 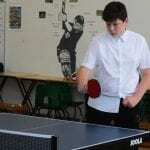 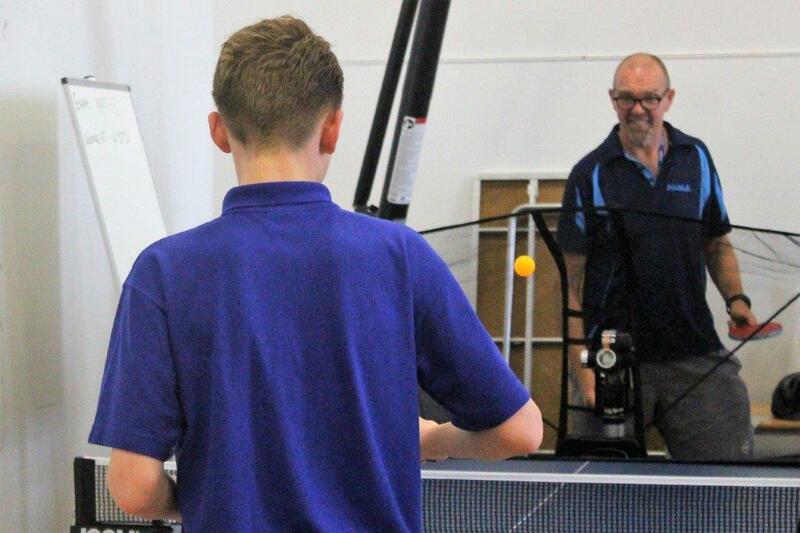 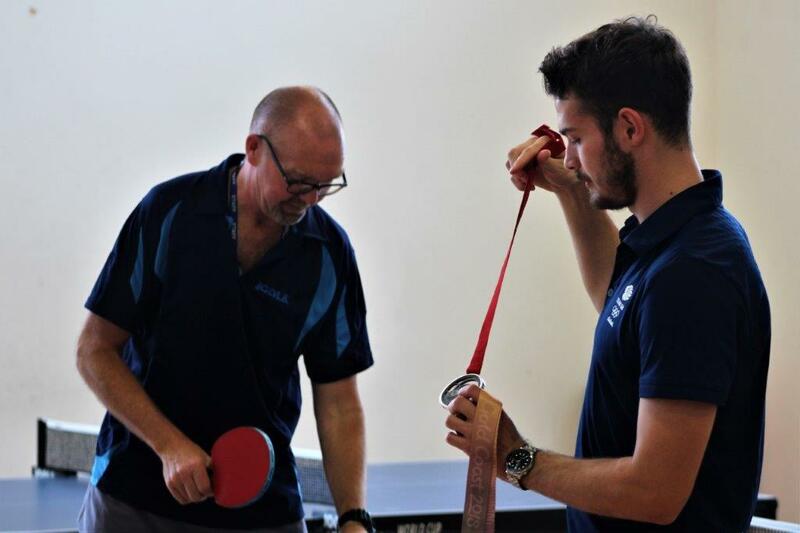 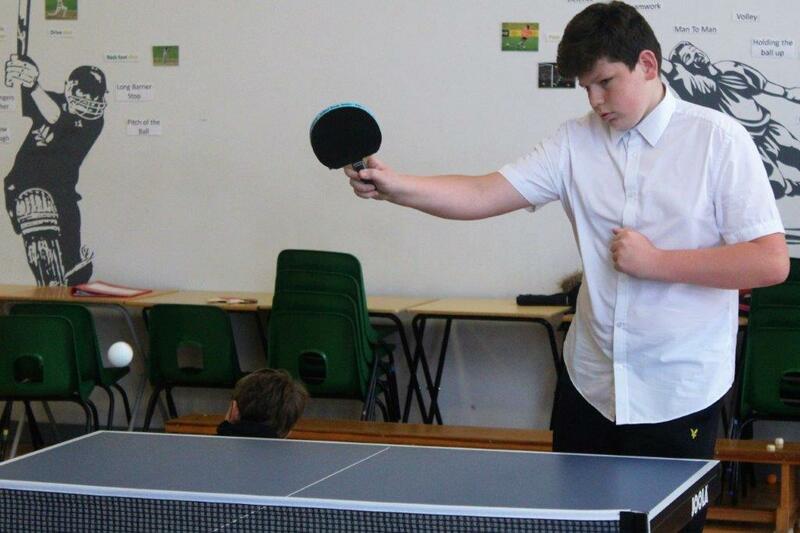 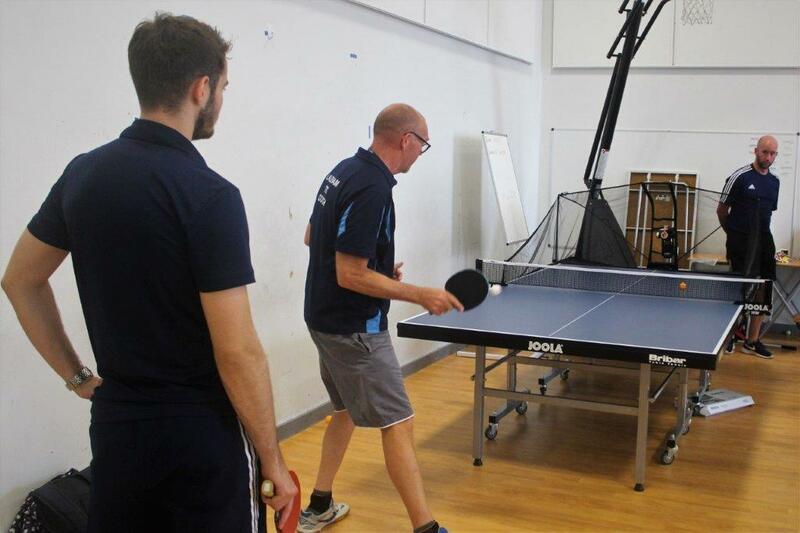 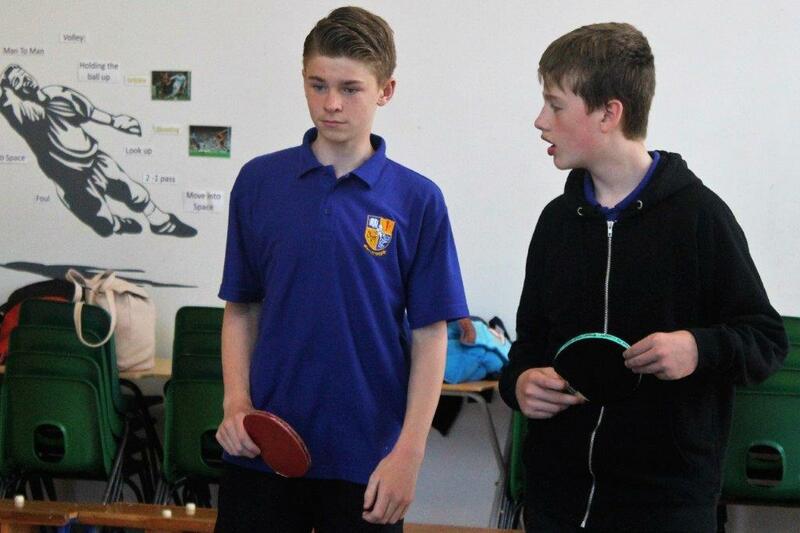 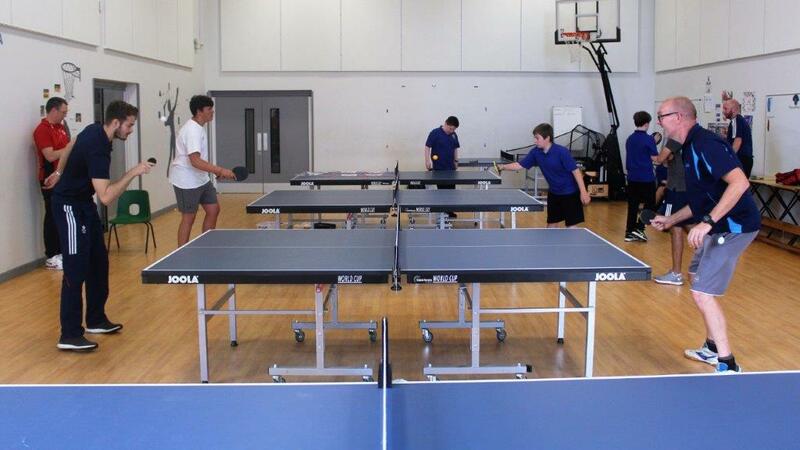 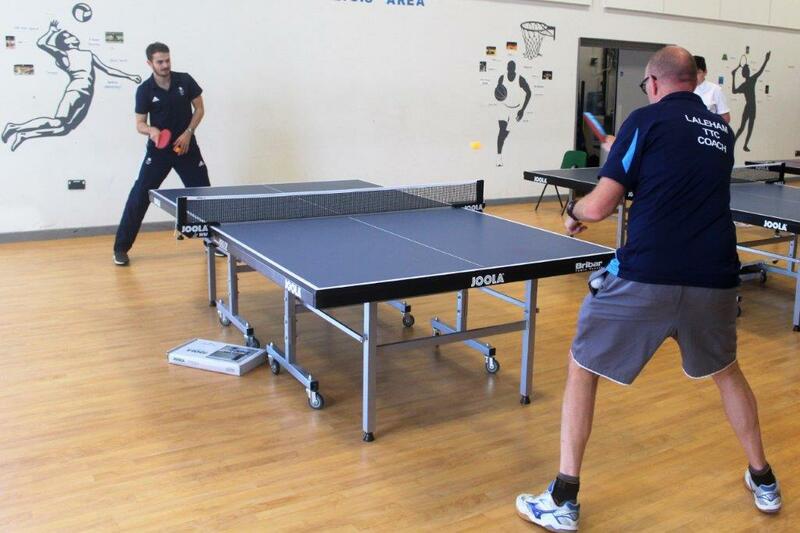 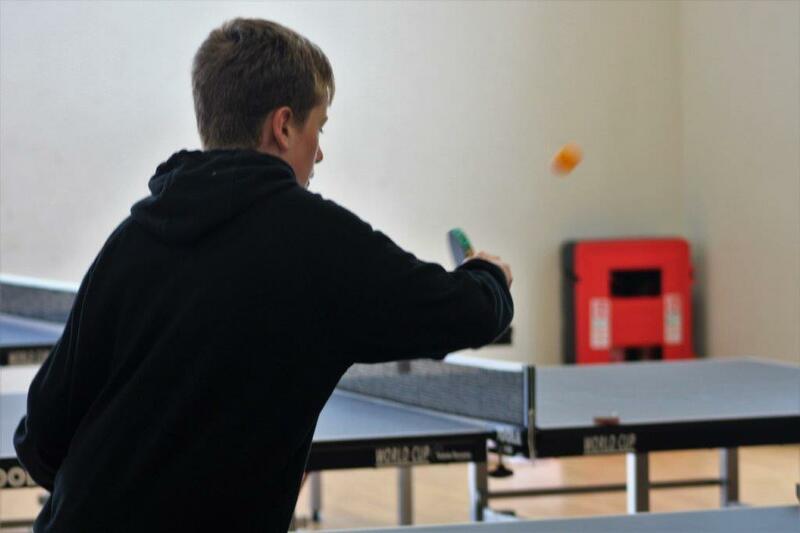 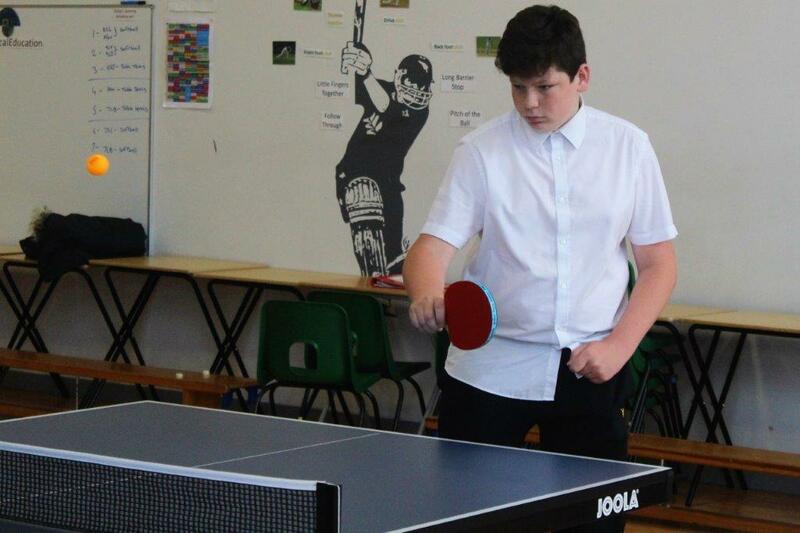 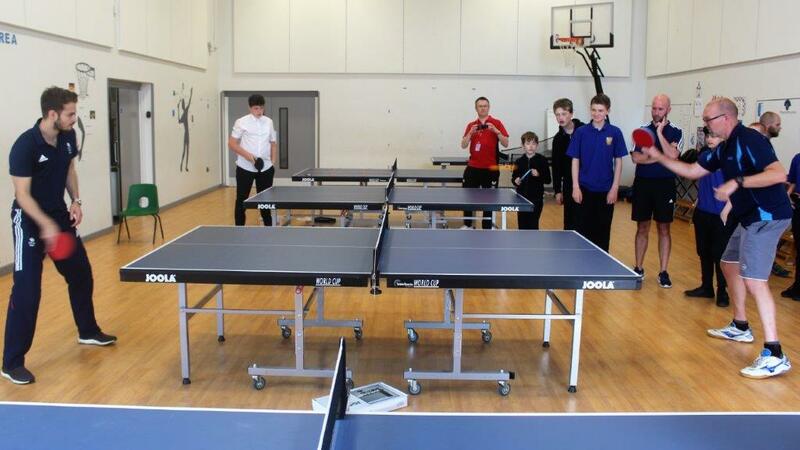 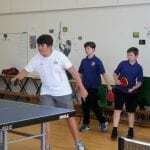 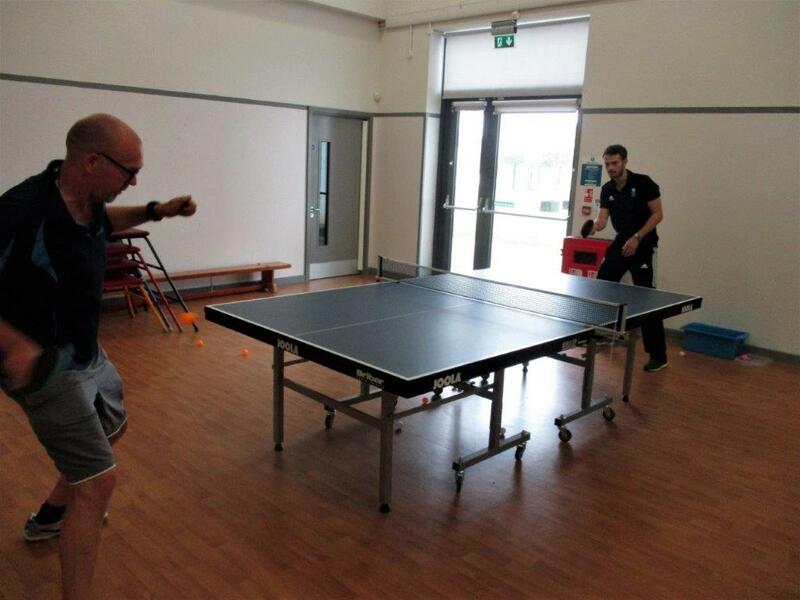 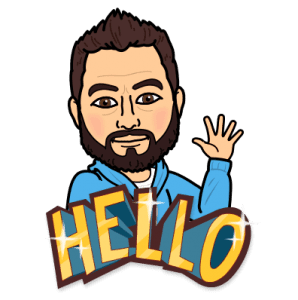 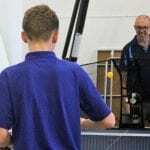 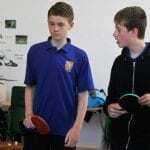 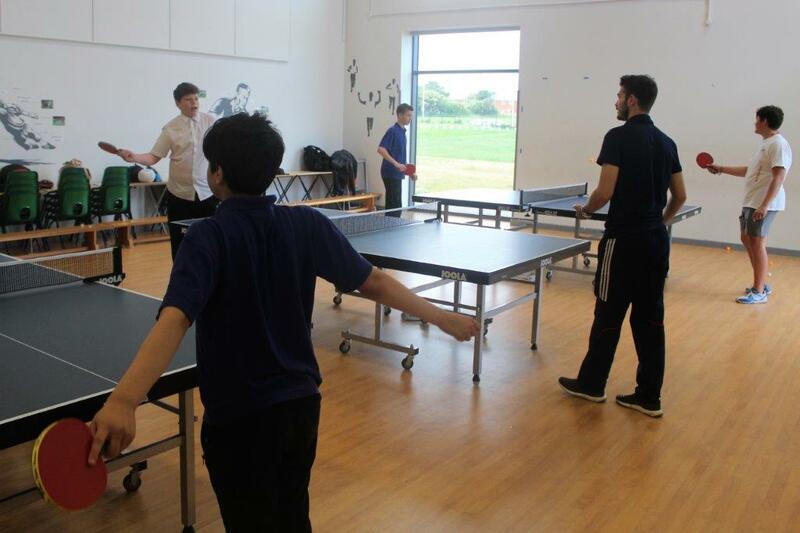 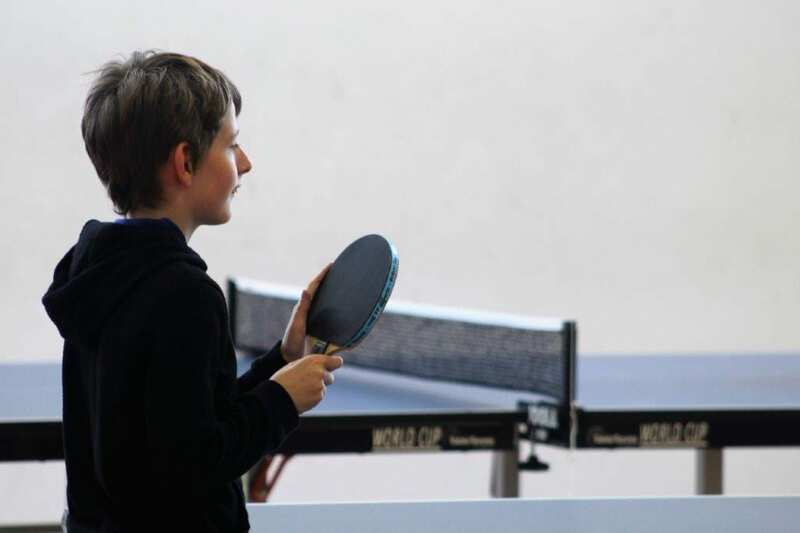 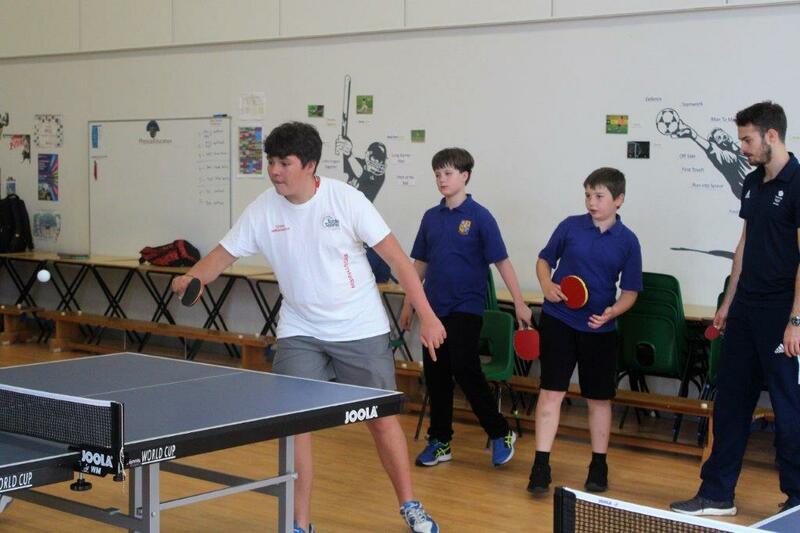 Even when Mr Ursell did let Sam “rest” and let him sit down Mr Ursell still gave him a bat to play seated table tennis – where pupils kept a rally going with Sam, whilst running round the table. 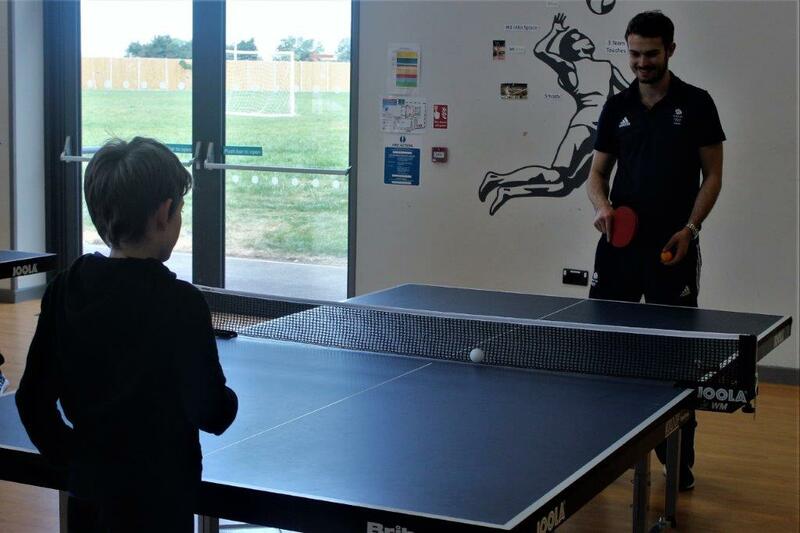 If children wanted to try and beat Sam Mr Ursell made Sam play with ever smaller bats – until he got to a bat size that was smaller than the ball! 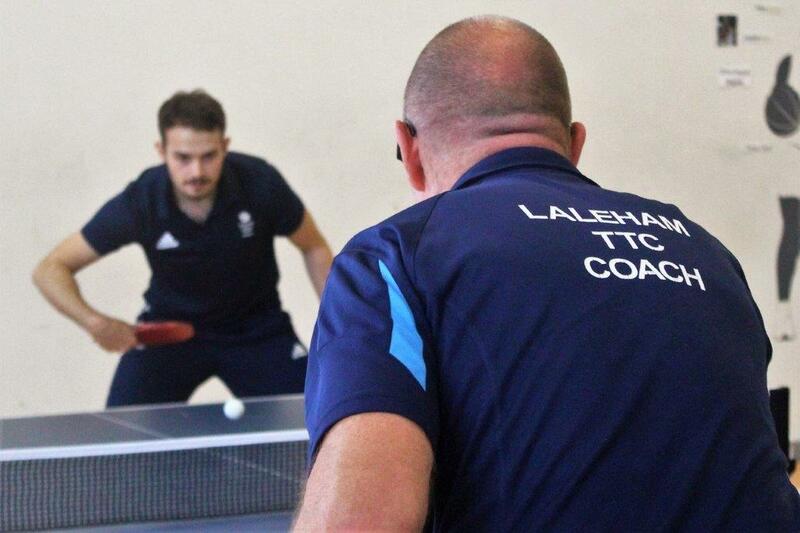 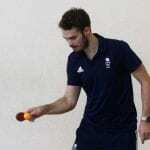 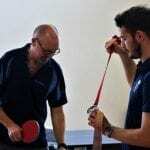 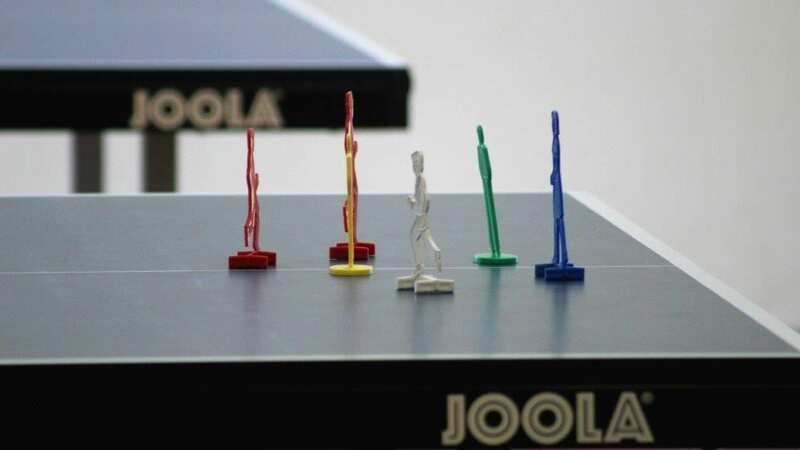 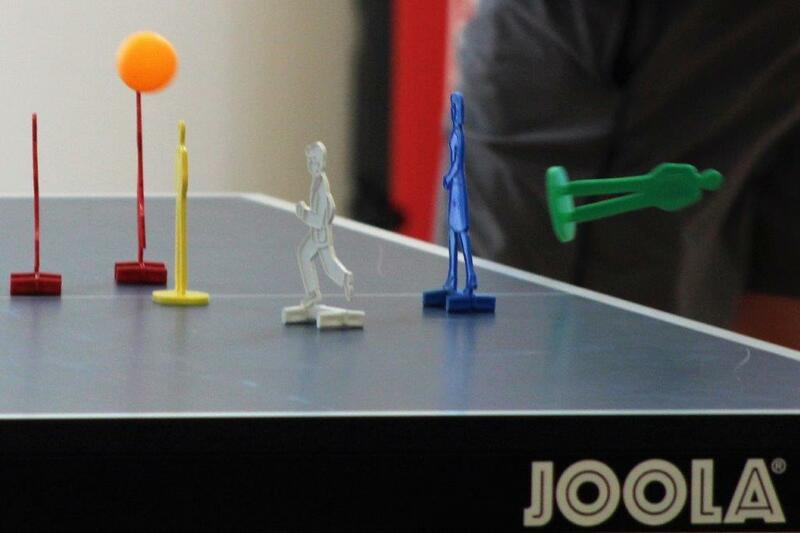 With an impetus like this Mr Ursell expects table tennis at Laleham Gap to continue to go from strength to strength. 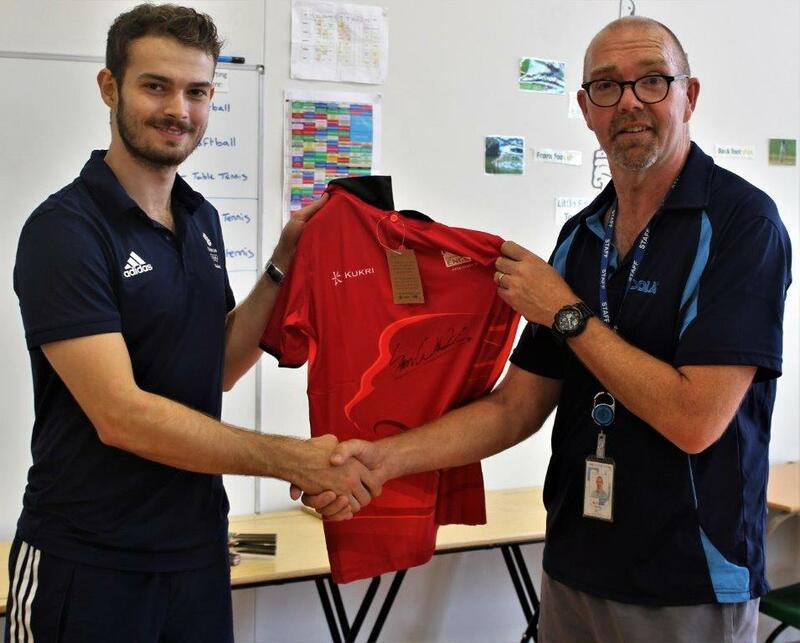 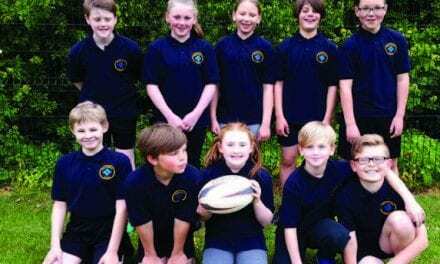 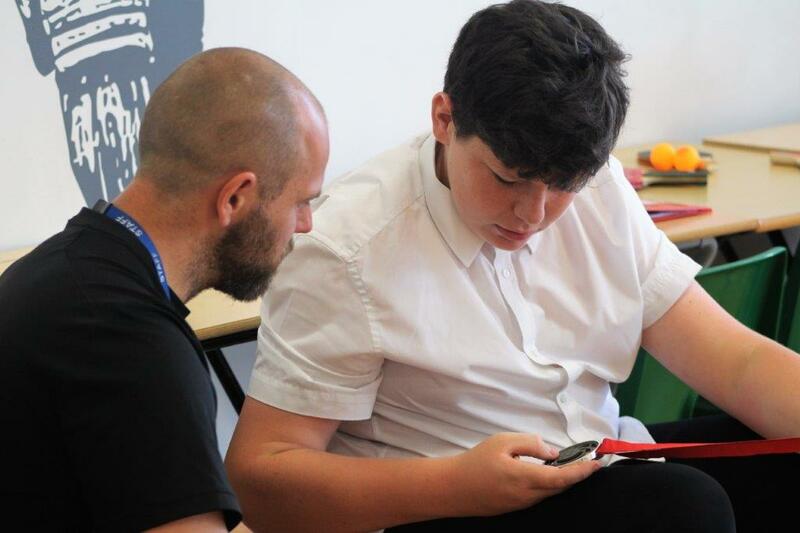 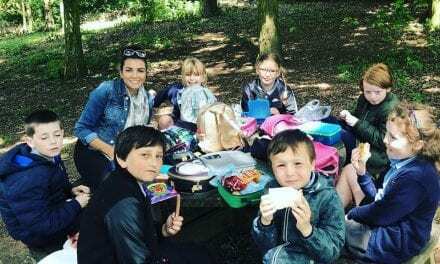 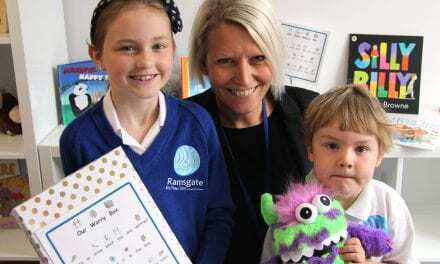 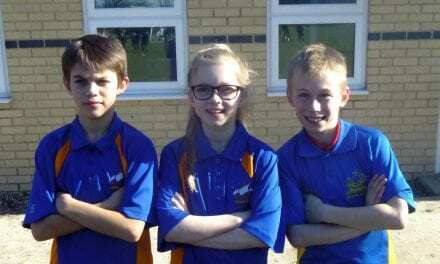 This really is amazing news from Laleham Gap School … their staff and students were so lucky to have Sam visit them. 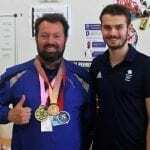 Thank you to Mr Ursell for sending us this article, and thank you for inviting me along to be part of your special day. 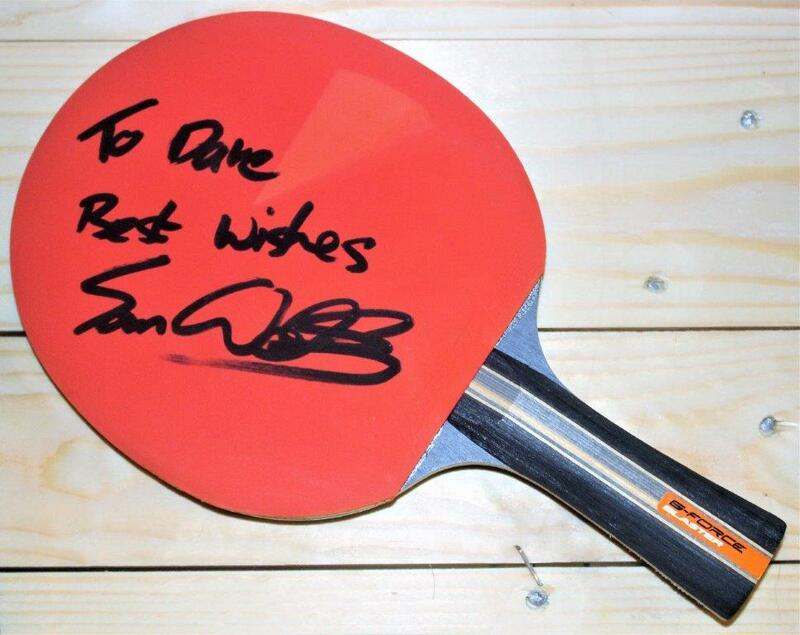 Please enjoy our gallery from Sam’s visit and feel free to share this article with anyone who may be interested.